John Sessions reads Chance Would be a Fine Thing, an unpublished short story by Anthony Burgess about two women and their ill-fated experiments with tarot cards. John Sessions reads Chance Would be a Fine Thing, an unpublished short story by Anthony Burgess about two middle-aged women and their ill-fated experiments with Tarot cards. The story was discovered among the author's unpublished papers in Monaco after his death in November 1993. Written in the early 1960s and partly inspired by T.S. Eliot's Aristophanic melodrama, Sweeney Agonistes, Burgess's story is about two middle-aged women and their ill-fated experiments with Tarot cards. 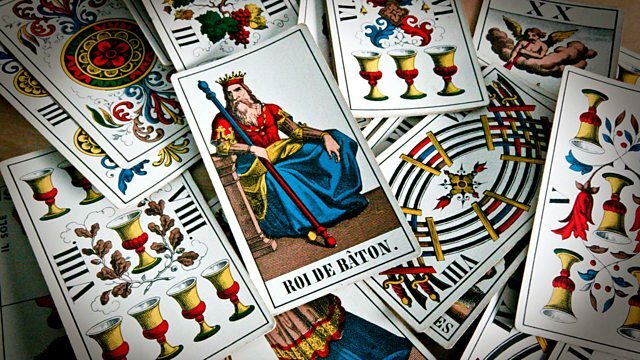 Burgess himself was fascinated by the idea of cartomancy (or predicting the future with cards). He designed his own set of Tarot cards for domestic use, and, when working as a schoolmaster in Oxfordshire in the 1950s, he disguised himself as 'Professor Sosostris the famous clairvoyant' and told fortunes at a village fete. Although he is best known for his full-length novels such as A Clockwork Orange, Earthly Powers and Inside Mr Enderby, Anthony Burgess was frequently attracted to the short story form. He wrote more than 40 short stories throughout his literary career. A volume of his Collected Short Stories, edited by Andrew Biswell who has written a biography of Burgess, is due for publication in 2013.